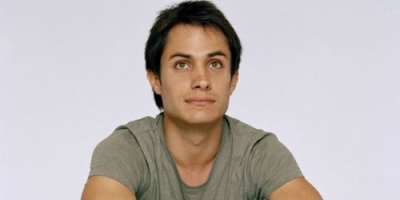 See the gallery for quotes by Gael Garcia Bernal. You can to use those 6 images of quotes as a desktop wallpapers. 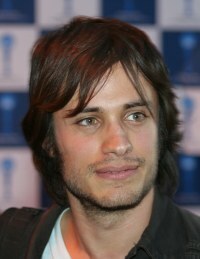 I was asked to go to Cannes to present Amores Perros. And little did I know that this film would be huge. I saw it for the first time in Cannes, and it was the first time I'd seen myself on such a big screen. And it had a huge impact on me - it was the strangest feeling. I was little there were times I wanted my parents to be normal. I wanted them to have a religion. I wanted them to have a job, like the parents of every other kid I went to school with. I've never cared for the idea of a career path, or where a film might 'take me.' My love is for acting not money, so I only take on roles that I find challenging, in stories I find interesting. In a comedy, after the day is done, you can figure out ways of how to make it even funnier for the next day. In dramas, it's very different - the mindset that you're in. In Mexico, theater is very underground, so if you're a theater actor it's very difficult to make a living. But it's also a very beautiful pathway to knowledge and to an open education. In terms of work, obviously acting is such a job that is very in the flesh kind of thing. It's your work, but it's your life, in a way. You can get so mixed up. It's not easy to act, but to direct to act. It goes form one place to the next. It's not heading for the punchline, and also it's not about scoring goals. It's about passing the ball, and the goals will come by themselves. Let's not give the electoral process so much importance. We have to be cynical about it. Let's give importance to the real democracy that's constructed on a day-to-day basis. That's my hopeful perspective on it. Life certainly points it out to you - 'you can go this way or the other way.' You have to decide and it's a very strong decision because, would you sleep well knowing that you're living in the best place, but you're letting the place where you should live alone? Mexican food is far more varied than people think. It changes like dialects. I was brought up in Jalisco by the sea on a basic diet - tomatoes, chillis, peppers of every size and rice, which is a Mexican staple. The Pacific coast has a huge array of seafood. Talking about food is like talking about your dreams. Everyone has something to say. We all have to eat, it's just what we eat which differs. Some people eat for fuel and I feel bad for them. We have a documentary film festival in Mexico. It's really original. It's called Ambulante, and it's a film festival that travels around several cities in Mexico. We think that democracy can change a lot of things, but we're being fooled, because democracy is not the election. We've been taught that democracy is having elections. And it isn't. Elections are the most horrendous aspect of democracy. It's the most mundane, trivial, disappointing, dirty aspect. A boxing workout is the heaviest thing, but it's the best. The worst part is that boxing gyms are the smelliest things in the universe. You have to lie down on the floor, where everyone has been sweating and spitting, and do 1,000 situps and push-ups. 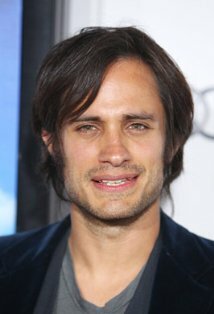 You know, Motorcycle Diaries has no incredible stories, no sudden plot twists, it doesn't play that way. It's about recognizing that instance of change and embracing it. Doing films in Latin America is like an act of faith. I mean, you really have to believe in what you're doing because if not, you feel like it's a waste of time because you might as well be doing something that at least pays you the rent. In English, I'm a little bit limited. I speak English as a second language, and that's a little limitation that I have to work around and I have to use it to my favor. So, yes, that's why I end up wanting to do more things in Latin America. Texas is a country in its own. It's made up of half Mexico/half United States but completed mixed. I don't mean to draw a generalization but it is a place, a territory, that's really made up of all these encounters, you know? 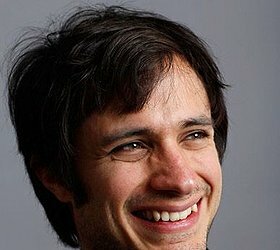 Much more quotes by Gael Garcia Bernal below the page. Alexander Gonzalez Inarritu is a great director. He's the one I first worked with. He's amazing. I go with the flow. Whatever music you play for me, I'll dance. I want to do work, but I also want to have a good time. I was brought up the Mexican way, where actors are paid very little and every part you take is an act of faith. If people respect that, then great. In Latin America, you don't do things for the money because there is no money. In Mexico we have a trick - add a crystal of salt to the kettle and the tea tastes better, almost English. But after four pots, your kettle's broken. In Mexico you have death very close. That's true for all human beings because it's a part of life, but in Mexico, death can be found in many things. It's very difficult to raise money, especially in the United States, for independent movies. Recently I've been doing risottos. Some of them have been amazing. Some of them, not all of them. The collective experience of watching a great film together in a room is a transcendent moment that will never die. We all have a cross-gender character: Every woman has a man that they can play, and every man has a woman that they can play. Every decision that you make you have to be incredible congruent. It doesn't mean that you have to starve. If you need money, you do something that gives you money, that's normal. Films, fiction, can encompass a whole global vision on a particular subject with any story, whatever it is. You can play the story in whatever country with whatever language in whatever style you want to tell the story in. I always wanted to act, but I never thought it would be my profession. I thought that I'd end up doing other things, but that in the meantime I'd do plays. I asked the producers when I was doing 'Y Tu Mama Tambien' if they could give me a VHS recording of the film that I could show to my family, because in Mexico and Latin America, when you do a film, you don't expect anybody to see it, especially not in the cinema. I didn't know I wanted to do films until I started to do them. Very few films are made in Mexico and film-making belonged to a very specific group, a clique. I think the water dictates how food will taste in a country. In England the apples taste unlike apples grown in any other place. England is an island, there's a lot of salt in the air and in the water. I think that has something to do with it.